If you missed Radio 2's Bob Harris live from Nashville you can listen again as he presents highlights of the 47th Annual Country Music Association Awards which were held in Music City last Wednesday evening. This year's nominations were dominated by newcomer Kacey Musgraves and six time CMA winner Taylor Swift, who both received six nominations. As well as nominations in the New Artist and Female vocalist categories, Kacey Musgraves sees her critically acclaimed debut album 'Same Trailer Different Park' appear in the album of the year category, with her talents as a songwriter recognised with two nominations for song of the year. Also up for awards are reigning CMA Female Vocalist Miranda Lambert , Entertainer and Male Vocalist of the Year Blake Shelton and emerging duo Florida Georgia Line, whose recent single 'Cruise' dominated the charts this summer becoming the longest running country number one of all time. Performers on the night include Jason Aldean, Little Big Town, Tim McGraw and Taylor Swift. 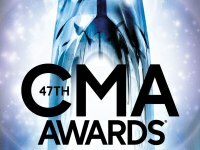 Listen again to the CMA Awards 2013 as Bob Harris presents a round-up of the winners, best performances and backstage interviews.